Why Cruise with Colesville Travel to Cuba? Fathom is proud to be the first cruise ship company to be granted U.S. approval for round-trip travel between the U.S. and multiple destinations in Cuba, including Havana, Cienfuegos, and Santiago de Cuba. If you’re serious in your desire to immerse yourself in another culture, this is your invitation to join us. Fathom’s immersive cultural experience can connect you directly to the stories of the Cuban people and create new new bonds between Cuban people and U.S. travelers. Fathom makes it easy for you to travel to Cuba and have the experience of a lifetime. This is the real Cuba, up close and personal. This is the real Cuba, up close and personal. The one that, until now, you’ve only seen in photographs. Join us on the Adonia for a once in a lifetime opportunity to experience Cuba first-hand — from the minute you step on board your ship. Cuban movies, Cuban music, Cuban cuisine – they’ll all be part of your outbound voyage, as you learn more about the remarkable people you’re about to meet. The Adonia will visit three historic ports on your journey: Havana, the country’s capital, the historic towns of Cienfuegos, and Cuba’s second largest city, Santiago de Cuba. And you’ll get there in style at a value other operators can’t beat. What’s included in your cruise fare? Just about everything. Meals. Daytime excursions and activities. A comfortable cabin. All the amenities of a modern hotel plus the luxury of being able to unpack once. Come with us on a pioneering travel experience; enjoy the sights, the sounds, the tastes, and the rhythms of everyday life and meet the Cuban people, one on one. Do You Know How to Stay Safe on Vacation? The world isn’t dangerous or unsafe. Quite the opposite. There are some desperate places and people, even in your home town, but these are a minority. In fact, you’re more likely to get into trouble at home than travelling if you follow these common sense tips on your trips. Get in the habit of looking back when you get up to leave somewhere. Travel is very distracting, and you’re probably carrying more stuff than when you’re at home, so you’re more likely to leave a jacket or journal at that Parisian cafe table where you were people watching. You know how you keep all your bank cards in your wallet/purse when you’re at home? Well, don’t do this while you’re travelling. Keep at least one in a different place, preferably not on your person. If you lose all your cards on the road it is very difficult to get replacements, and being without money outside of the country would not be fun. To avoid being pickpocketed, keep your wallet in your front pocket, especially a pocket that can be buttoned up. Best of all, use the inside pocket of your jacket. There are also a lot of money ‘money belts’ that either hang inside your shirt or wrap around your waist (under your shirt), etc. Make sure it’s waterproof because travelling can often be sweaty/perspiring work. I’d advise against the bum bag/fanny pack type. There is no better way to advertise the fact that you have a load of valuables on you…and, of course, they were never ever cool. Scan your travel documents and email them to yourself. It was traditional to photocopy your passport and visas, travel insurance, etc, and keep them in a separate part of your luggage or you can leave a copy at home. But these days, digital is best – that way your documents won’t go missing even if your bags do. It is hard to get to know the locals at a destination if you don’t trust them, but there are limits to how much you should trust them when it comes to your personal safety (going with them into a risky area of town, store), money, and consuming their food or drink (if they are not consuming it themselves). You can do a search for the latest scams that travelers have reported for where you are going. You can also ask your hotel concierge for safety tips. This is mainly for health costs if you get ill or injured while abroad. Hospital costs can quickly get into the tens of thousands of dollars, even for a minor injury. Insurance is worth it. I use Alliance and Travel Guard. Visit your doctor before you leave to get all the relevant vaccinations/immunizations for the destinations you’re visiting, and to learn what health precautions you should follow. If you’re travelling abroad then you’re more than likely to be richer than most of the locals, but advertising this fact by wearing gold jewelry or carrying an expensive camera around your neck is not advisable. It makes you a target for thieves. Leave your jewelry at home and keep your camera in a bag when you’re not using it. It may seem like a breeze, but be advised that teaching yourself to ride a motorbike or jet ski in a foreign country is probably unwise. In Thailand, for instance, 38 people a day die in scooter accidents. Be aware that some travel insurance policies won’t cover scooter-related injuries. If you’re doing a specialist course (scuba diving) or something risky (bungee jumping) then check the operators have legitimate qualifications and a good safety record. There’s usually a reason a course is cheaper than the others. PADI has a list of qualified diving operators – check that list. This is so obvious that I am embarrassed to mention it, but people do it all the time. Most notably, travelers leave their bags at their feet or hanging from the back of chairs when they’re at cafes or restaurants. Either keep them on your lap or wrap its strap around your leg. There is a simple rule that people find hard to follow: if you are mugged, give over your wallet, watch etc. This shouldn’t be a problem if you have insurance and you’ve left all your irreplaceable items at home. Just do it, and walk away uninjured. There are exceptions to this rule, but, in general, don’t give away money to people on the street. Apart from the fact that you may have to get your wallet/purse out, encouraging begging is not the most efficient use of your money (and goodwill). If you want to help out then do some volunteer work in the destination or donate some money to a local charity for the homeless. Internet cafes’ computers may have keylogger software or hardware that records your key strokes, so unscrupulous characters (not necessarily the owners of the cafe) can see the username and password to your online accounts (banking, email, etc) or grab your credit card details. A good trick to make this more challenging is to open a couple of other browser windows (for the website you are using) and half way through entering your passwords or credit card information type incorrect information into these windows. You may be missing your pets at home, but stray animals may be carrying rabies and other infections or they may bite you. You should also not feed monkeys, for the same reason. Often your travel companions will take risks that compromise your safety. They’ll ask for help from people that you wouldn’t go near, they’ll aggravate a situation with arrogance, or they’ll break any number of the no-nos mentioned above. Don’t submit to their peer pressure. Stand your ground. And if they continue to be unsafe then consider parting ways. If you are interested in hearing more about how to stay safe on vacation, or need help planning your next dream vacation, contact us at 301-989-1654 or email us at info@colesvilletravel.com. Our staff is ready to assist. Website: www.ColesvilleTravel.com. During travel, travelers face lot of risks like, trip cancellation, loss of baggage, loss of money or valuables, accidents, terrorist attacks, natural calamities and occasionally death. You cannot stop travel because of the risks involved, but you can reduce the amount of risk involved by buying a travel insurance policy. 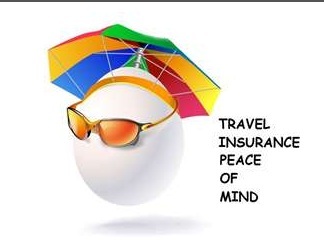 The concept of travel insurance is very simple. The insured pays a premium (this is the amount you pay to the travel insurance company), the company in turn pays any costs involved in case of accidents or other types of eventualities. In case there is no eventuality the travel insurance company keeps the premium. Trip cancellation: There are lots of reasons, due to unforeseen circumstances that you may need to cancel your air ticket or vacation. If you cancel your ticket at the last moment, you will not get any refund from the airline or you may get a very small airline credit. Travel insurance provides coverage against this kind of loss. The travel insurance company has to provide the cost of cancellation of ticket. 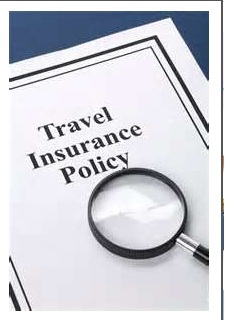 However, the cancellation has to be done under circumstances which are covered by the travel insurance policy. Baggage loss: if your baggage is lost, then the cost of the baggage is paid by the insurance company, but it is governed by the rules of the insurance contract. Medical cost: if you get sick during your travels and you incur medical costs you will be paid by the travel insurance policy. However, if you have health insurance which covers overseas travel, then there is no need to separately buy a travel health insurance. Others: Other things that are generally covered by travel insurance are medical evacuation, accidental death, repatriation of remains etc. I highly recommend that you read the fine print when you buy any travel insurance policy. If you are in an emergency situation, you will not have the time. 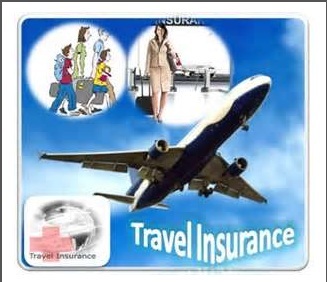 Colesville Travel offers Travel Guard travel insurance and they offer brochures explaining their policies. Travel Guard offers several plans to suit your needs. They also have a Price Comparison Tool that can you help you find the right travel insurance plan for your budget. In conclusion, protect your investment. You worked hard for your vacation and it may have taken you a year to save the money to go away. Unfortunately, it only takes a second to ruin your plans. While you can’t do anything to prevent an unexpected storm from closing the airport, the airline losing your bags, sudden illness, or death of a loved one, you can help cover your investment and minimize your loss by buying travel insurance. There are many places in the world to visit, but one of the most exciting places to visit is New York City. Last weekend I visited New York City to attend the Jacob Javits Travel Show. That evening, I also went to Red Rooster Harlem in Harlem. What a wonderful evening I had! Red Rooster Harlem restaurant was named after the legendary Harlem speakeasy that was located at 138th Street and 7th Avenue. This is where neighborhood folk, jazz greats, authors, politicians and some of the most noteworthy figures of the 20th Century – such as Adam Clayton Powell Jr., Nat King Cole and James Baldwin – would converge to enjoy drinks and music in an inviting atmosphere. It joins Harlem’s vibrant community alongside local legends like The Apollo Theater, Sylvia’s and Lenox Lounge. People who have traveled the world have reason to love and visit New York City. This amazing city shows up time and time again on lists of most popular world travel destinations. New York City has something to offer everyone. Start with the sights. You could spend weeks seeing all the interesting buildings, museums and monuments. There are wonderful sight-seeing packages that make seeing the sights easy to do. New York City has many areas to explore. There are many diverse cultures and interesting and unique shops. Most areas of the city are easily reached with public transportation. The shopping in New York City is quite extraordinary. You can gaze at some of the most expensive jewelry and clothing in the world and you can also find reasonably priced items in many of the shops and boutiques. If you enjoy food, you will love New York City. There are stores that offer every kind of food imaginable. Look for spices, coffee, tea, meats, cheeses and chocolate. Many of the stores will ship your items home. In New York City you will find unbelievable dining possibilities. Any kind of food you wish to eat can be found in New York City. From the hotdog carts on the sidewalks to the first class restaurants, dining in New York City is a treat. Last but not least are the musical and dramatic experiences. You can enjoy plays both on and off Broadway and there are also countless musical venues in New York City to enjoy. Have you been to New York City lately? Would you like to go? I have a trip to Broadway on March 16 to see Motown the Music. Contact our offices if you would like to go, or if you would like us to customize your own package. Vacations are meant to inspire relaxation and peacefulness. While you and your family may be excited to hop on the plane and travel to a tropical destination for your next summer vacation, read up on these few travel tips that will help to ensure you have a fun vacation, not a stressful one. Tip 1- Always book flights and reservations under your legal name. This is especially important if you have just gotten married but have yet to change over your passport and ID. You may receive a hard time from TSA if the name on your ticket doesn’t match the name on your ID and passport. So remember, no nicknames or post-married names if that’s not what’s on your ID. Tip 2- You usually receive a discount for combining hotels, flights, rental cars, and more. Check with Colesville Travel when you are ready to book your next getaway. We not only offer you great rates, but can arrange great travel packages. We can also make deposits on most of your reservations. Tip 3- Watch what you pack. With baggage fees and weight limit charges, you will want to be aware of what you are packing so you can avoid getting hit with more-than-a-couple-dollar-charge when it comes to your luggage. Only take necessities and consider bringing as much as you can on your carry-on bag. It will help to weigh your luggage at home before you head to the airport so you know what you are getting yourself into and can plan appropriately if you know you can’t get under the weight limit. If your luggage is too large to simply place on the scale, jump on first and weigh yourself. Grab your bag then hop on the scale a second time and see what the new weight is. Take this weight and subtract your weight alone and that’s how heavy your bag is. Tip 4- Don’t carry cash. Instead, opt for prepaid credit cards. Travelling with cash is dangerous and can lead to theft or the loss of money. Sign up for a prepaid credit card and get all of the conveniences of playing with “plastic” without the worry of amassing debt or ruining your credit by choosing to buy that diamond ring you saw in St. Thomas on your caribbean cruise. You’ll only be able to purchase as much as you preload the card with, plus many companies offer theft and fraud protection which is much safer than carrying cash. I hope your enjoyed these travel tips. Please call our office to hear more about our services. We are waiting to plan your next getaway. When you pack light, there is a constant battle between what to take and what not to take. Usually, a backpack or small suitcase will only have enough room to accommodate the essentials when it comes to clothes. When you’re travelling, the essentials are comfortable clothes that are easy to wash, can be worn wrinkled and are versatile. This doesn’t leave a lot of room for nicer clothes . . . or does it? Unless you’re a hiker, chances are that there will come a time during your travels when you’ll need to wear something a little nicer or fancier than usual. While on vacation, you may want to indulge in a nice dinner or visit a lounge and you certainly do not want to go out looking like a bum or dressed inappropriately. So, I have put together a few fashion tips, for the ladies only, for the weary light-packing traveller. A comfortable pair of boots, preferably black without heels, can be worn out for a day of sightseeing, and transfer effortlessly into nighttime attire. With boots you get two functions for the price of one. They will eliminate the need for you to carry around an extra pair of “nice shoes” and can replace sneakers or tennis shoes so long as you’re not doing any major hiking. I have a couple pairs of Bass and Aerosoles shoes that I travel with. They have proven to be comfortable and very durable. They come in lots of different styles and price points. The perfect way to dress up a top or a dress is by adding a scarf or a wrap. Not only are they fun, fashionable and inexpensive, but they are very easy to carry and pack. Especially in cooler weather, a scarf or wrap can be worn on you all day, giving you the look of an especially fashionable traveller. Kohl’s, Target and lots of other stores like Marshall’s and TJ Maxx sell lots of great wraps and scarves in a variety of fun colors and styles. If you pick simpler patterns or solid colors they are more likely to coordinate with any outfit. Don’t even think about bringing a sweatshirt. Leave them at home. There’s a more fashionable alternative that’s relatively cheap and just as comfortable. Try a cotton blazer. I discovered cotton blazers a few months ago and have been in love with them ever since. They are perfect for travel as they’re so comfortable and the cotton/poly blends don’t really wrinkle. These jackets are a perfect way to dress up an outfit. They are comfortable and functional and can be worn all day. They can be purchased the same time and at the same place you buy your scarf. I hope you enjoyed these travel tips. If you would like additional travel tips, please contact Colesville Travel at info@ColesvilleTravel.com or call 301-989-1654. What’s more fun than going on vacation? Wouldn’t you love to be able to afford to do it more often? Of course you would! Travelling the world and lying on hot sunny beaches is much more fun than staying at home. Unfortunately vacations are expensive, and unless you are rich and retired you probably can’t afford them too often. But here are some tips that you can use to make your travels cheaper, which means you can go more often! First the key to affording even your wildest travel dreams is to start saving, and start saving early. But as I said earlier, unless you are independently wealthy, have just won the lottery, or stand to inherit a big chunk of cash, odds are you can’t just set off on an expensive adventure on a whim. It takes some planning. It takes some plotting. And, yes, it takes some budgeting. Why not set up a travel fund and save a little from each paycheck? Budget some fun money! A large part of the cost of a holiday is the travel to actually get there, add to that the fact that you can often negotiate bulk discounts and you can save a good amount of money by staying for longer. A two week vacation is more fun than a one week vacation and less than double the price. Remember to think not just about the cost of your vacation but also the cost of living in that country. Often paying a little more to go somewhere further can save you money overall when you get there and you get to see more of the world too. Another bonus is that even if it works out the same price, you will spend your vacation not having to worry about what you spend, which will make the whole vacation more enjoyable anyway. Who wants to worry about money on vacation! Check an accurate currency calculator before you travel, there are different rates for buying and selling, so make sure you know what to expect. It is also worth planning ahead and keeping an eye on where the rates are going. If the rate is showing signs of improving it may be worth waiting until the last minute to exchange you money, whereas if it is getting worse you should buy sooner rather than later. If you really love travel then it isn’t always about the hot and sunny weather. So rather than travelling during high season why not go out of season when the resorts are less crowded? You can often save a staggering amount of money and you might find your vacation is more enjoyable outside of peak season when the locals go back to their normal ways of life. The resorts, streets and tourist attractions are also less crowded. Also going during low season you may also experience things that few tourists ever see. I hope I have given you some things to think about. If you would like additional travel tips or need assistance planning a vacation of your dreams, contact Colesville Travel.